Honorina (Fernandes) Dias, 99, of Fall River, wife of the late Jose Dias, passed away Thursday, January 31, 2019. Born in Mosteiros, St. Michael, Azores, she was a seamstress for Shelburne Shirt Mfg. and a parishioner of Santo Christo Church. She enjoyed singing, playing cards, drawing, cooking, but most of all spending time with her family. She leaves a daughter, Maria C. Silva and her husband Manuel of Fall River; a daughter-in-law, Kathleen Dias of Swansea; five grandchildren, Nelia Silva of Fall River, Debbie Cabral and her husband Michael of Assonet, Diane Ganhadeiro of E. Freetown, Jose Dias of Fall River and Sandra Jennings and her husband Kevin of No. Dartmouth; four great-grandchildren, Zakary Ganhadeiro, Halle Jennings, Madison Ganhadeiro and Joshua Jennings and many nieces and nephews. 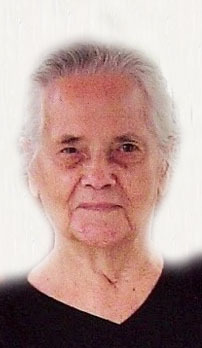 She was the mother of the late Manuel F. and Jose F. Dias, sister of the late Maria L. Dias and Manuel and Antonio Fernandes and the daughter of the late Manuel J. and Maria C. (Dias) Fernandes. Her funeral will be held Monday at 8:00 AM from the Auclair Funeral Home, 690 So. Main St., Fall River with a Funeral Mass at 9:00 AM at Santo Christo Church. Burial, Notre Dame Cemetery. Visitation will be held Sunday from 1:00 PM to 5:00 PM. In lieu of flowers, please consider a donation to the American Heart Assn. Online guest book at AuclairFuneralHome.com.